Many people are convinced that they are doing the “right stuff,” like eating salad and exercising, but they’re still not getting rid of that extra weight. If this sounds like you, you’re probably on the right track but you’re just missing that one key element that will unlock your weight loss potential. There may be something holding you back, whether mentally or physically. Finding your motivation. Like any goal, weight loss requires focus. Sometimes you just need to reach that emotional tipping point when enough is enough. Creating a strong motivation and determining what drives you are essential elements. Inconsistency. The best way to achieve weight loss is by implementing strategies that work and doing so consistently. It is OK to plan for occasional “slips,” as long as there are ways to get back on track quickly. For example, try an 80/20 rule, meaning 80 percent of the time you do all the right things, eating a healthy and nutritious diet and staying on your exercise regimen, while the other 20 percent of the time you give yourself some leeway. It’s more doable and sustainable. Unrealistic expectations. It is common to have high-flying goals and an initial flurry of energy. But when actual results are not meeting expectations, it can be easy to feel discouraged and give up. This, unfortunately, can result in “yo-yo dieting,” when people dive in full steam but quickly give up, only to repeat the cycle again. Eating too many, or the wrong type of, calories. Cutting certain foods but not calories may not be enough. It is important to know how many calories you actually need on a daily basis and to learn more about the types of calories you are eating. Avoid high-glycemic foods because they spike insulin and don’t keep hunger in check for very long. Psychological reasons. Emotional eating is often a habit people use to cope with adversities in life. If you can’t control your urges, you might want to seek professional counseling to address the root causes of your over-eating. Eating at the wrong times. Many people feel they don’t have time for breakfast and rush out of the house. Then they have a busy workday, and by the evening, they are famished. Their biggest meal is a large dinner, late at night. However, the shift to more food later in the day causes more weight gain than those who eat the same calories earlier in the day. 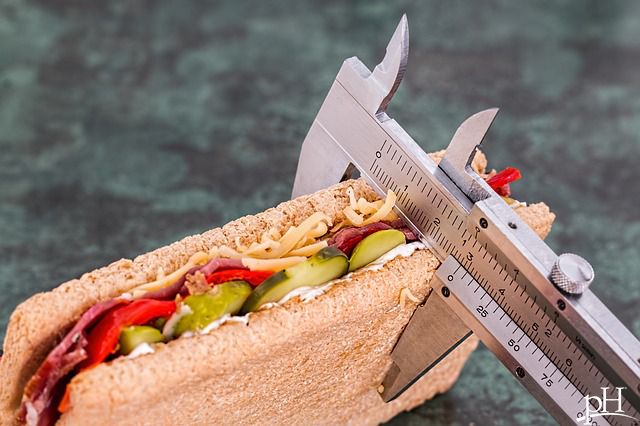 Eating smaller amounts more frequently can be helpful for weight loss. Looking for quick fixes. Persistent weight loss is a way of life, constantly learning about what the body’s needs are at different stages in life and showing discipline to carry plans out. Quick fixes don’t work and frequently cause more weight gain during a rebound phase. Find long-term solutions that you enjoy. Pesticides, antibiotics, hormones. Various toxins act as hormone disruptors, and they can have estrogenic effects on the body. This, in turn, can lead to an increased appetite, increased fat, and increased water retention. Large amount of antibiotics are fed to livestock, but unfortunately, this seems to affect the consumer as well. Hidden sugar. Because consumers love sugary foods, manufacturers have responded by increasing the amount of sugar in many food groups. Sugar ingredients and rising obesity levels have occurred simultaneously. Diet sugars also contribute to weight gain because they create the sensation of receiving sugar, but the body registers that it did not get any calories and as a result feels hungrier than before. Lack of diversity of healthy gut bacteria. Much research has focused on diversity of gut bacteria. Slimmer people have different sets of gut bacteria than obese people. In fact, research has shown that transplanting gut bacteria from slimmer people to obese people can actually result in weight loss. You can get a lab test (possibly covered by your insurance) to determine how healthy your gut is, and consider supplementing with quality probiotics. Too much stress. Unhealthy stress releases stress hormone such as cortisol. It raises your blood glucose level and makes you hungrier and more likely to over-eat or eat too fast. Your peers. If everyone in your environment is overweight, chances are, you pick up similar habits and patterns. Motivate people around you to improve their weight or surround yourself with people who are on the same mission as you. Chronic sleep deficiency or shift work. Sleep deficiency is a form of stress as well. The body does not get enough rest. In turn, stress hormones are released to bring in more energy. The body craves glucose and carbohydrates, which only help temporarily and leave you feeling hungry again just a short while later. Hidden calories. Some foods have more calories than you think. If you eat a healthy salad but add some ranch dressing, a few too many crackers, croutons or bread slices, you may offset some of your good intentions. Nuts are a good, quality snack, but they also have a high calorie count and should be consumed in small amounts. Watch sugar content in cereals, granola bars and various snacks. Know the calories you are ingesting. Starving yourself. If your food intake is grossly diminished, the body’s metabolism gets slower. Digestion and food passage gets slowed down and the body may not get enough essential nutrients. Make sure you aren’t being extreme and going hungry for weight loss. Vegetables, fruits and water can be consumed in fairly high amounts without interfering with weight loss. Orthopedic problems. Acute injuries or chronic pain can interfere with how much exercise you can do. If you are burning just 300 calories less a day than usual, but keep eating the same, this may amount to gaining an extra pound within 10-12 days, or 10 pounds in three to four months. Weight gain caused by medication. Certain psychoactive medications such as anti-depressives, mood stabilizers, seizure drugs, and medicines for blood pressure, diabetes and steroids can cause weight gain as a side effect. Hormone imbalances. If you have an under-functioning thyroid, you will tend to gain weight. When the hormone leptin falls, hunger often strikes. Low testosterone contributes to increased fat in males. These are just a few examples, but testing your hormones, whether you’re a male or female, can help you correct some of the barriers to weight loss. As you can see, there are many possible reasons for why your weight loss isn’t progressing the way it should. But the fact that you are being proactive and trying to find the root cause, shows that you are unstoppable. Weight loss is hard work, but we can make it a little easier for you by guiding you through the process and providing you with all the tools you need. Come see us.